Pack away the devices and prepare the suncream! Holiday Academy is a summer camp for kids in search of a brand new experience. Addicted to Fortnite or playing too much Panda Pop? 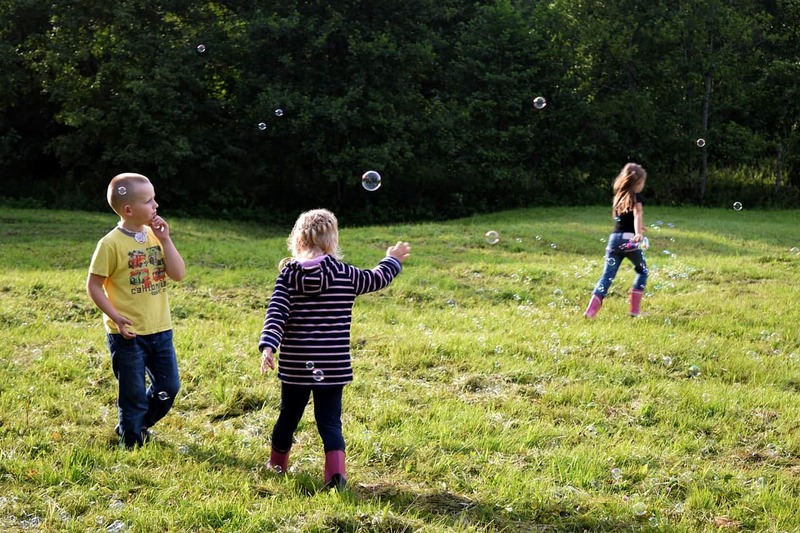 They’ll burst out of their bubble at our exciting day camp. Holiday Academy is a summer camp for kids based near Camden in London, England. Our daily schedule is packed with activities, from tennis to yoga, from art to drama. The kids will love it – even if they don’t know it yet! Locked in the endless battle with technology? Sometimes it can be difficult to get more than a grunt from the kids, especially when they have a device under their noses. We all know we should limit screen time but, in reality, it’s painfully difficult to enforce. The solution? Be innovative and tempt them away from their favourite game. Give them something far more exciting. We’ve got this! Replace Minecraft with real-life survival! Dressed like adventurers, we trek out to London’s parks in search of natural thrills. Our qualified Forest School leaders teach the kids to build and light fires, make a proper shelter, and understand the territory. It’s amazing for kids who have a taste for independence – they’ll be trusted to work in a team and handle tools, learning about fire-starting or whittling and risk management (while having great fun). But Forest School has so many more benefits. For starters there’s all that free Vitamin D to soak up – boosting immunity and bone strength. It’s been known to improve confidence and attention levels in kids who are shy or busy. Forest School day camp is an exhilarating, tiring experience that always results in happily exhausted children who go home for a really good sleep… what a shame, there’s no time for playing on tablets before bed! Swap Panda Pop for a tennis match! So they like ball games? Our summer camps for kids often feature tennis sessions as an add-on, which is a brilliant sport for kids to try. Tennis replaces device dexterity with physical effort, testing their response times and coordination. It’s great exercise and fun to play together. So if the kids are keen bubble-poppers, why not send them out onto a tennis court? Our awesome street dance coach Monica Dhinn has choreographed for stars including Beyonce. She works all over the world – so we’re incredibly lucky that she runs street dance workshops at our summer holiday camps in the UK. Teaching Bboy, Bgirl, Old Skool, New Skool, and Freestyle, she always brings something fresh and new to Holiday Academy… and the kids absolutely love it. She’s a ball of energy and enthusiasm, and one of everyone’s favourite coaches. If the kids have been doing the Fortnite moves, it’s time for them to learn the latest. As well as special workshops and drama or footy weeks, we organise trips and summer activities in London during the holidays, ranging from visits to the Tate Modern to kayaking days on the canal. The season encourages exploration – so our summer activities in London are always very popular. Some of our workshops – including Street Dance and Tennis – are not a part of the regular daily schedule. If your kids want to participate in one of these, you’ll need to make sure that you book the relevant day. The best way to do this is by getting in touch to check dates. Every week is so different that we urge you to contact us and find out what’s happening (or check the latest information on the website). We will tailor our summer camps to the group, sometimes focusing on a big drama production, or adding extra football sessions for those who thrive on it. So if you or your kids have special requests, get in touch early and secure your places. For our general, ever-popular mishmash of sports, drama, art and music, 8.30-6pm (or shorter hours), you can book online. Just select the days and summer camps that you want – choose Forest School or classic Holiday Academy (based on our premises). We’ll reveal the exciting line-up closer to the summer holidays, but remember to contact us if you’re looking for something in particular. We look forward to seeing you and the kids in real life!